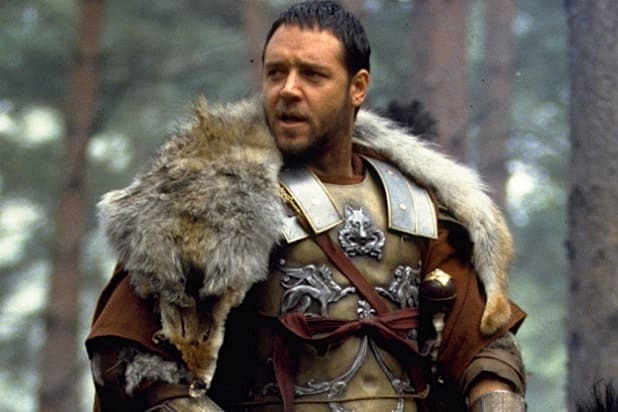 If you’re a Russell Crowe fan, a movie memorabilia collector or just someone who supports the idea of cleaning out the storage bin after a divorce, we hope you didn’t miss the “Gladiator” star’s auction. Crowe sold off 227 items Saturday at Sotheby’s Australia in Sydney at an auction titled “The Art of Divorce.” Although his divorce from Danielle Spencer was last year, today would have been the couple’s 15th wedding anniversary. Among the eclectic assortment of items were life-size prop horses; wardrobe from “Gladiator,” including a cod piece, a pair of leather wrist cuffs and torso body armor; a trove of guitars; his entire Capt. Jack Aubrey outfit from “Master and Commander”; neo-Nazi boots from the 1992 movie “Romper Stomper,” and a 2008 custom-made motorcycle. “In case anyone is interested … $3.7m at the coal face and around $350k of conversations ongoing … and a bunch of stuff I didn’t really want to sell coming home … not a bad hourly rate for a 5 hour shift . Hope you are happy and busy,” Crowe tweeted early Saturday morning. That $3.7 million he mentioned went to the Australian Children’s Music Foundation, which provides free, long-term music programs and instruments to disadvantaged and Indigenous children across Australia. If you’re curious, you can check out the entire lot here. 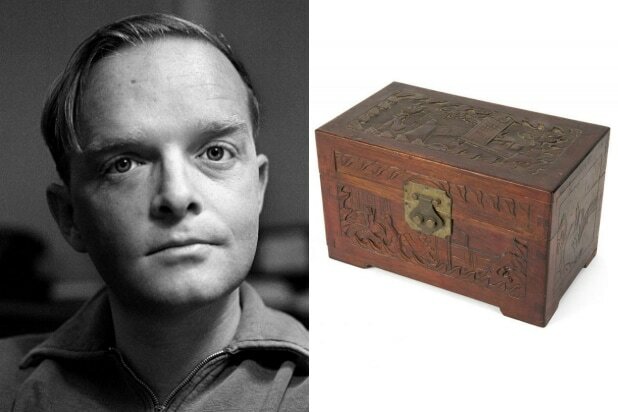 Truman Capote's cremated remains were bought for nearly $44,000 in late September 2016. Lady Gaga's faux fingernail sold for a reported $12,000 in 2013. When he was still a member of 'N Sync, Justin Timberlake's leftover French toast (not pictured) fetched $1,025. Perhaps more cool than weird, Burt Reynolds auctioned off his Pontiac Trans Am from the 1977 action hit "Smokey and the Bandit" for a world record-breaking $550,000 in February 2016. Among the many items Jane Fonda auctioned off in the fall of 2016 (including her famous workout leotard) was a one-of-a-kind Andy Warhol lithograph. At the time of sale it was expected to fetch up to $30,000. Two locks of Marilyn Monroe’s hair were auctioned off in late September 2016, for $70,000. Last we checked, the cat-face oven mitt from "Seinfeld" was being auctioned on eBay for $10,000. Any takers? Willie Nelson's lopped off braids went for a whopping $37,000 in 2014. A tissue Scarlett Johansson used during a 2008 appearance on "The Tonight Show" sold on eBay for a reported $5,300. William Shatner auctioned off his kidney stone (not pictured) for $25,000. A piece of Britney Spears' A-B-C'd gum went for a reported $14,000 on eBay in 2004.